Long-grain rice are those varieties of ricewhose grain length greater than 6 mm. 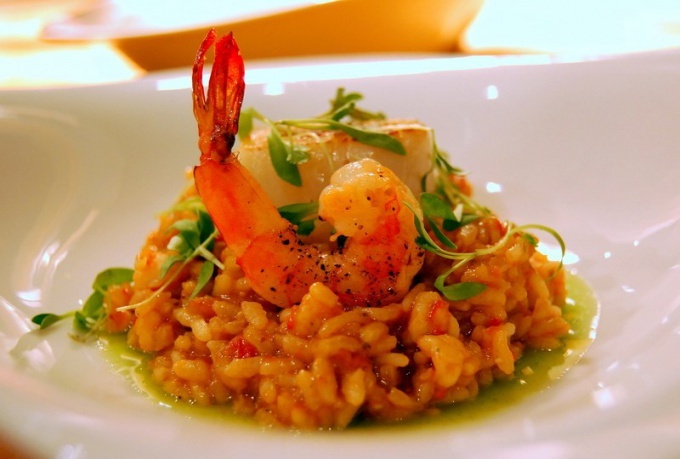 the Main advantage of long-grain rice — it retains its shape when cooked, not sticky. 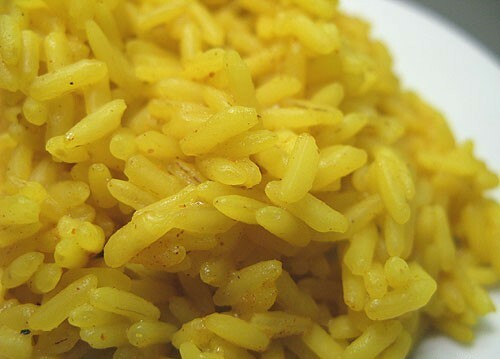 Cooked rice turns crisp and fragrant. Therefore, long-grain variety of rice is perfect for salads, pilafs, side dishes. — thick-walled pan with a tight-fitting lid. Pour the rice in a saucepan, pour water, mix well, drain the water. Repeat 5-7 times until the drained water is clear. Pour the rice with cold water so that it covers the rice by about 1.5-2 cm to Check the level of water in such a way: to lower your thumb in the water, putting it on the rice, the water should reach half of the first phalanx of the finger. Lightly salt the rice. If you are preparing a revamp as a side dish or salad, please note that salt will also be added to sauce, gravy, so the rice is better to leave slightly neocolony. Tightly cover the pan with the rice with a lid. Remember: the tighter the lid fits to the pot, the more aromatic and rassypchatyh will be cooked rice. Turn the hob on maximum power, put on it a pot of rice and leave for 5 minutes. Reduce the burner power to the minimum and cook the rice at this heat for 15 minutes. After 15 minutes turn off the burner, but the pot do not remove it. Let stand the rice for 5 minutes, then remove lid, add 1 tablespoon oil, stir the rice again and close the lid for 3 minutes. Long grain rice is ready! — Long grain rice can be brown and white. Brown long grain rice retains more nutrients, but bole is a perishable product. Cook long grain brown rice the same as white, but increase the cooking time on low heat 15 to 20 minutes. The oil in brown rice can not be added because it is contained in the shell of the grain. — The best varieties of white long-grain rice are considered "Jasmine" and "basmati". "Jasmine" is more white and slightly less crumbly rice as "basmati". It is good to use in casseroles and puddings. Long grain "basmati" has a subtle and refined aroma it is ideal as a stand-alone dish (with spicy sauces, gravy, condiments). If you are cooking on the electric stove, it is better to cook long grain rice on two plates, simultaneously turning on one burner at maximum and the other at minimum power. When the first burner to preheat, and put it on a pot of rice for 5 minutes. After this time, move the pan to the second, poorly heated, the burner for 15 minutes. Round grain rice is especially popular in far Eastern cuisine. It is used in the preparation of sushi and as a garnish to various dishes. But in order that the rice was cooked in the best way, you need to follow the technology of cooking. Sushi rice needs to be sticky to hold the shape. Therefore, its correct preparation is especially important. Pour rice in pot and rinse 4-5 waters. After that, pour it with cold water so that it was more rice on 2 fingers. Do not add salt into the bath water. Put the saucepan on a strong fire, and then when the water boils, reduce to medium and cook the rice for 20 minutes, not stirring. During this time the water should evaporate. If necessary, top up the pan with some more water. Cooked rice remove from heat and season with mixture of vinegar, sugar and salt. Use warm rice for sushi and rolls. Prepared according to this recipe the rice and just serve, accompanied by slices of fish, seafood, or Japanese omelet. Risotto rice, rinse in running water. Onion peel and cut into small cubes. Preheat a frying pan olive oil and fry the onions for 4-5 minutes. In a saucepan pour in the broth and bring it to a boil. Add to the pan the rice and add the onions, stir. Salt the broth. Cook the rice for 10 minutes, and then pour in the pan wine. As a result, the rice should be soft. Cereals ready season the butter and add the Parmesan. Separately, prepare the chicken. Fillet cut into small cubes and fry in a pan in olive oil for 4-5 minutes until soft. Then salt the meat, add the herbs and pour into the pan with the cream. Simmer on low heat for 15 minutes. Serve risotto with chicken and sauce. Each serving sprinkle with the remaining Parmesan cheese. If the recipe specified a round figure, it is not necessary to replace it with long-grain or wild. Each type of rice has its own properties - short-grain rice is usually more sticky and better suited for sushi and a variety of cereals, long-grain rice often turns out more crumbly. Even if your rice burnt while cooking, don't discard it completely. Carefully remove from the pan to the part of the rice remains white. Scrape the rice from the bottom - it will ruin the taste of your dish. Cooked rice is, perhaps, the most versatile side dish because it goes well with meat, fish and vegetable dishes. However, to achieve truly superior taste of the finished product is possible only with proper preparation and proper combination of herbs and spices. Every woman wants the rice turned out crumbly, not like its structure to the paste. Therefore, before cooking the rice should be carefully washed from starch and talc. The fact that, before arriving on store shelves, the cereal has undergone a special treatment, which is glazing powder or cornstarch. Rinse the rice before until muddy water becomes fully transparent. When cooking grains it is necessary to observe the correct ratio of water and rice (1 Cup rice requires 2 cups of water). If you are planning to throw the rice in already boiling water, then cover the pan with a lid is not necessary. If you put to cook the rice together with water, the pot should be covered with a lid. When the water starts to boil, the fire must slow down to a minimum. For krugloozernoe rice preferred closed type cooking long grain and, on the contrary, is more suitable for cooking with the lid open. To the rice turned out crumbly, it in any case can not stop. If you are afraid that the rice will get cooked unevenly, you can go spoon a small hole. Condiments and spices should be added only after the boiling water. To salt the dish after cooking. How to make rice taste and appetizing appearance? If you want to give the side dish a more appetizing appearance, boiling water you can add half a teaspoon of turmeric. Thanks to this seasoning grains will acquire a rich wheat color, which is an appetite. Improve the taste of the rice with garlic, dried barberry, and Oriental spices — Zira. The easiest way to diversify the taste of the garnish is to add a versatile seasoning that can be bought at any grocery store.